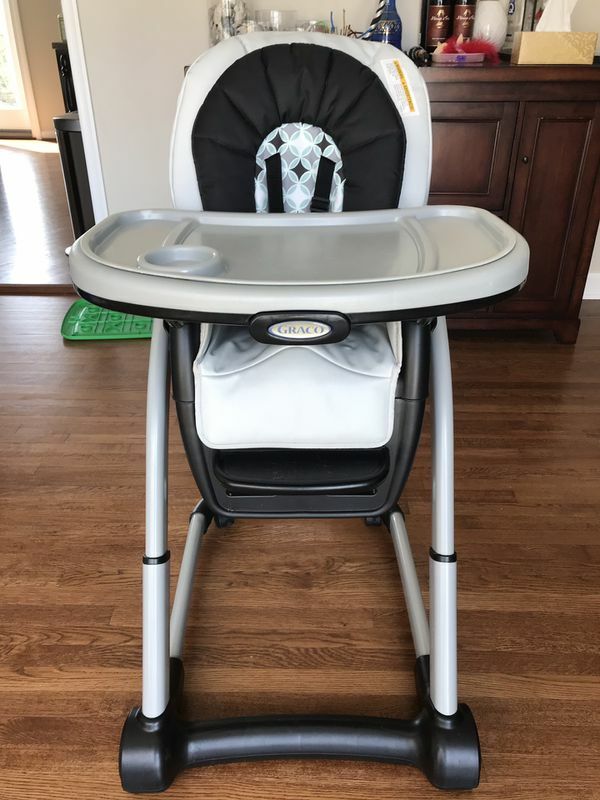 Graco Blossom Convertible High Chair with infant insert. Comes without separate toddler booster. Reclines so newborn baby can be at table with you. Easy to clean. On wheels for easy movement. Comes from a non-smoking, cat loving home. Cash only. Pick up only. If still listed, it’s still available.